This post was originally posted on Connect Sport here. An international meeting of 24 international researchers from a variety of academic disciplines took place at a ‘Consensus Conference’ in Denmark in April 2016. 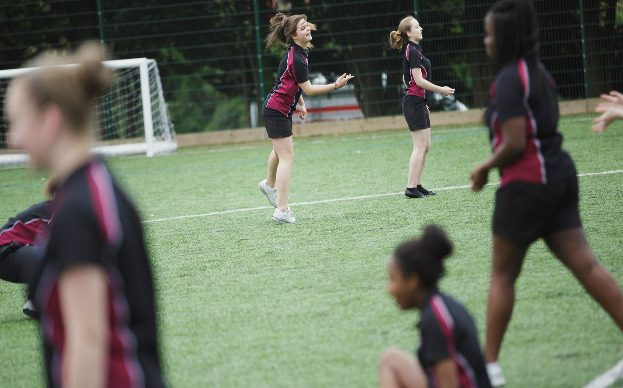 In this article Dr Dan Parnell, Research Director for ConnectSport, offers an overview of the consensus statement and highlights some of the important recommendations for researchers and practitioners in community sport. The aim of the meeting was to reach evidence-based consensus about physical activity in children and youth, that is, individuals between six and 18 years. How can we describe physical activity? Physical activity is an over-arching term that consists of many structured and unstructured forms within school and out-of-school-time contexts, including organised sport, physical education, outdoor recreation, motor skill development programmes, recess and active transportation such as biking and walking. What does the consensus statement offer? The consensus statement presents the accord on the effects of physical activity on children’s and youth’s fitness, health, cognitive functioning, engagement, motivation, psychological well-being and social inclusion, as well as presenting educational and physical activity implementation strategies. The consensus was obtained through an iterative process which began with presentation of the state of the art in each domain followed by plenary and group discussions. – Theme 1: Physical activity in children and youth – fitness and health. – Theme 2: Physical activity in children and youth – cognitive functioning. – Theme 3: Physical activity in children and youth – engagement, motivation and psychological well-being. – Theme 4: Physical activity in children and youth – social inclusion and physical activity implementation strategies. You can access the full consensus statement here and it has been published on (Bangsbo et al., 2016). It is important to not only understand the evidence, but to understand what meaningful action can be taken which is informed by the evidence base. Therefore, I have included all recommendations made across the four themes and believe many are particularly important for community sport. Theme 1: Physical activity in children and youth – fitness and health. – Fitness levels should be measured in children and youth for cardiometabolic risk stratification. – Reliable and valid field testing, including intermittent maximal tests such as the – Andersen and Yo-Yo intermittent children’s tests and measurements of waist and height, are recommended to provide a preliminary assessment of the cardiometabolic risk for children and youth, and to provide feedback regarding relevant improvements in fitness and health status after training interventions. – Small-sided ball games, like football, team handball, floorball and basketball, are recommended to elicit high cardiometabolic and musculoskeletal loading, individual involvement and favourable cardiometabolic and musculoskeletal training effects. – Active transportation to and from schools, when safe, should be encouraged. Commuter cycling to and from school is recommended and is more effective to improve cardiorespiratory fitness than walking. – For all children and youth, inclusive of healthy and those with chronic diseases, it is relevant to distinguish between training effects on cardiovascular, metabolic and musculoskeletal fitness, when evaluating the fitness and health effects of various types of physical activity. – Assessment of cardiometabolic risk for children and youth should include fitness and be based on standardised continuous risk factor scores. – Musculoskeletal fitness and health can be enhanced through several types of physical activity in sports clubs and schools when children and youth are engaged in vigorous, intermittent, impact-promoting activities, such as jumping, circuit strength training and ball games. Theme 2: Physical activity in children and youth – cognitive functioning. – Physical activity can promote scholastic performance in a broad sense. Whether it does so, depends on active participation and engagement in the physical activities. – Initiatives and adjusted practice to increase motivation and competence for participation is thus essential. Opportunities include, for example, active transport, physical education, active lessons, recess, and after-school programming. – Integration of movement into teaching activities of academic subjects holds promise, but studies are ongoing and there are at present only a few (but positive) available studies on this relationship. Presumably, a key feature is that the movement or physical activity is directly related to the intended learning objective. – A single session of moderate intensity physical activity has transient benefits to brain function, cognition and scholastic performance with benefits derived for approximately one hour, depending on the characteristics of the physical. Physical activity immediately prior to a learning session should not be too intense since high stress or fatigue may blunt the beneficial effect. Additional benefits to memory may be derived when moderate-to-vigorous physical activity is performed after learning. – Mastery of fundamental movement skills is beneficial to cognition and scholastic performance in children and youth, and both physical activity throughout school and in leisure physical activities can benefit motor functions. Motor skill screening provides a valuable tool for identifying children in need of adapted support in motor skill development. Specific ‘adapted’ interventions should be developed and offered to children with motor skill deficits in order to benefit motor development and motivation for participation in physical activities. – The school is the arena where it is possible to reach the vast majority of children and youth, also those who are not otherwise regularly physically active. Increased focus on, and time for physical activity with qualified activities can be a possible way to promote motor skills and school performance as well as motivation for participation in physical activity. Theme 3: Physical activity in children and health – engagement, motivation and psychological well-being. – Children and youth should be provided with fun, personally meaningful and developmentally-appropriate physical activities, which offer opportunities for positive social interactions. – Adults need to empower children’s and youths’ feelings of competence and personal autonomy and facilitate their enjoyment of, and engagement in physical activity by creating environments which are autonomy supportive (eg provide a voice, choice and decision-making), mastery-oriented (eg emphasise the value of hard work, personal improvement, co-operation and continual learning) and socially supportive (eg ensure young people feel cared for, accepted and respected, separate children’s sense of worth from their performance). – Children and youth should be encouraged to do physical activity with close friends and be provided a variety of mutually-valued physical activity options in school and out-of-school-time settings. – Parents should serve as physical activity role models, by communicating a positive attitude about physical activity, being regularly active and demonstrating value toward physical activity through consistent verbal and non-verbal behaviours. Parent education programs can inform them about the importance and features of positive physical activity environments. – Coaches and teachers should receive systematic training regarding the rationale for, principles of, and strategies they can adopt to create more empowering physical activity environments for children and youth. – Adults should take the opportunities afforded via children’s and youths’ engagement in physical activity to teach them life skills, such as interpersonal, self-management, and conflict resolution skills, which can generalise or transfer to other domains such as school, future work and home life. – Provide a wide variety of physical movement experiences for all children early in their lives to build fundamental movement skills and familiarity with physical activity. – Offer a variety of sporting and physical activities which recognise and engage diverse children and youth. – Offer a range of contexts for sporting and physical activities in order to support the inclusion of children and youth into specific activities and contexts that are meaningful to them. – Provide capacity building interventions (eg policy, in-service training, ongoing technical support, resources and evidence) which support the implementation of PA policies and programmes in schools and community environments. – Organisations and stakeholders involved in sport and physical activity provision should develop social inclusion policies and practices. – Support socially inclusive practices with education, training and support for physical activity providers. How can you use the consensus statement? Reading these recommendations will no doubt leave many within community sport in agreement. This consensus statement and recommendations can be shared with funders and policy-makers. Furthermore they should be used to inform and guide practice and research. For further details please see the full report here and research here. Dr Dan Parnell is Research Director at ConnectSport, co-founder of The Football Collective, an active researcher and senior lecturer in Business Management at Manchester Metropolitan University. His research interests cover the sport and leisure sectors within the UK and he works globally on a number of projects, in particular the social role of sport. Contactd.parnell@mmu.ac.uk or follow @parnell_daniel on Twitter or access his research here.